ELIZABETH QUAY might’ve caused a flurry of letters to the editor and talkback calls, but a new book and exhibition at the Museum of Perth reveals that’s nothing new. In researching Take me to the river: The story of Perth’s foreshore Julian Bolleter uncovered around 200 plans for the riverfront have been proposed over the years. And some of the outcry would’ve fit right into the modern day: when engineer Frank Vincent proposed an artificial island in the middle of the river in 1931, it was crueled by politics of the day, with one letter to the editor mourning that the authors of the proposal had not been lynched. An assistant professor at the Australian Urban Design Research Centre, he says the public’s often quick to oppose any plans for the river. 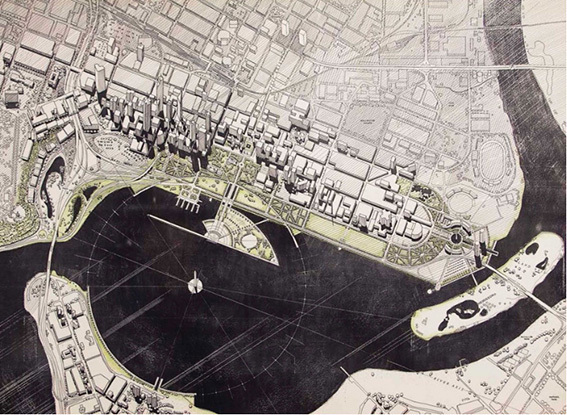 Some early plans reveal Governor Stirling’s intentions that Fremantle be the colony’s port while Perth be an administration centre, hence the large space between the river and the city, with plans for it to be a recreational area. In the 1960s, plans reflect our growing love of cars. The government had planned a curling ribbon of freeways and carparks so people could easily drive to the city, in a day where the motto was “your car is as welcome as you”. Perth city council planner Paul Ritter fought desperately against the car-centric rings of roads, saying “the freeway noose tightens on Perth [and] would literally choke recreation on the south, and take the puff out of business life in the north’. • Riverfront visions are nothing new, it seems, with evidence of at least 200 emerging. City staff worked late nights without pay to fight the plan, and in the end the plan was massively downgraded. As for the most recent plan, Asst Prof Bolleter notes people perjoratively refer to it as the “Dubai on the Swan”, a hint of Perth’s xenophobic suspicion of foreign ideas that don’t hail from England. As for his prediction for Elizabeth Quay: “I’m not sure it will be the waterfront that puts Perth on the map, but I think it will be the waterfront that works.” But he points out it’s just 300m of an 8km foreshore, and future planning needs to look at the foreshore as a whole. Museum chair Reece Harley says the riverfront was picked as a topic due to Elizabeth Quay’s opening, slated for next year. “The river has been argued over basically since white people first arrived,” he says. “It’s important to remember that since white settlement, European people have been trying to alter the flow and shape and purpose of the river, so Elizabeth Quay is nothing new. People who are ultra-protective of the waterfront must remember it’s reclaimed land.” The portion being dug out was once water that was filled in long ago. Since opening mid-October the museum’s had more than 2000 people through, and with so many exhibition ideas Mr Harley, who’s also a Perth city councillor, says they’re now looking to secure additional exhibition space. 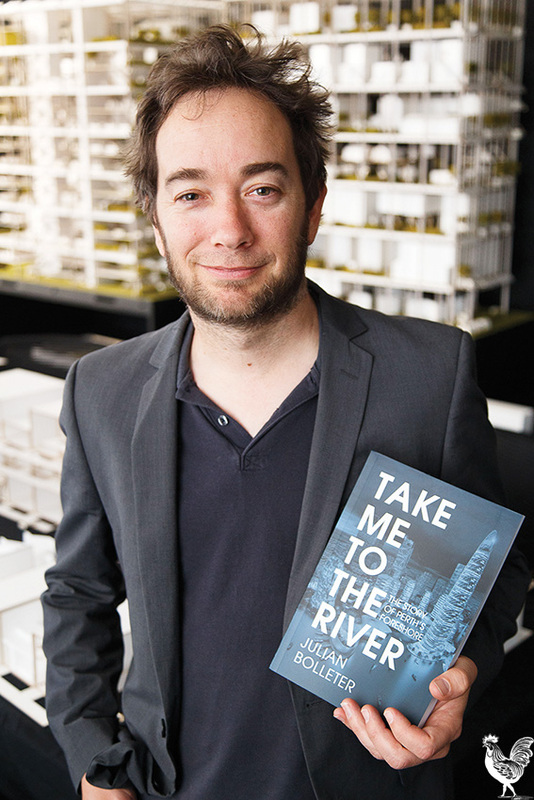 Take me to the river is on from Friday December 11 at the Museum of Perth in Grand Lane, CBD. The book is available through UWA Publishing.